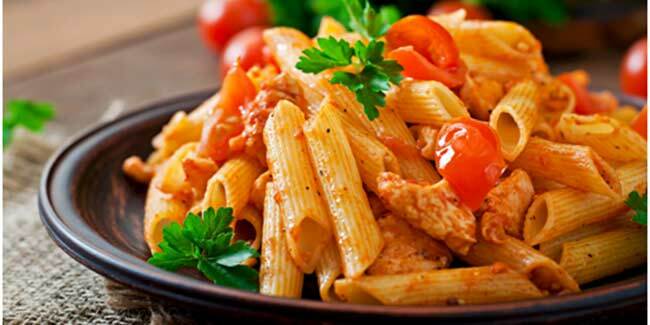 Pasta is one of the most popular Mediterranean cuisines in the world. Pasta is staple dish of Italy. There are different styles and shapes of pasta. Who doesn’t like a serving of piping hot pasta with their favorite seasoning and sauce? A staple dish from Italy, pasta is one of the most popular Mediterranean cuisines in the world. There are different styles and shapes of pasta like Bucatini, Fusilli, and Spaghetti. Although a sumptuous and tasty dish, people refrain from eating pastas too often because it's made using rich ingredients. The primary ingredient in pasta is maida or all-purpose flour. Maida, as we know, is not particularly healthy and is high in calorie and low is fiber. However, with the all new KENT pasta and noddle maker, you don’t have to suppress your love for pasta anymore. It is because the appliance allows you to customize the ingredient to make fresh and healthypasta. Just mix the flour of your choice to make dough for preparing fresh pasta. Not just pasta, with the assistance of this appliance you can also make finest noodles and momos. Dishes like stir-fried noodles, Chow-Mein or noodle soup made from fresh noodles is superior in taste. In fact some of the top chefs in the world only use fresh noodles and not the dry one in their dishes. Pasta or spaghettis made from fresh dough is very delicious. Traditionally, Italian’s prepare fresh pasta at home rather than dry pasta that is available in most grocery stores in India. However, preparing pasta from scratch is not only a very tedious and but also requires exceptional skills. Why eat momos from streets when you can prepare them at home. Prepare the dough at home and use the shaping die that come with the appliance to make evenly shaped and delicious dumplings at home. Gujias the famous Indian sweetmeat are mostly available around Holi. The sweet is very expensive to purchase, and one cannot always guarantee the purity of the ingredients used to prepare them. However, with KENT noodle & pasta maker, you can make the tastiest guijas anytime of the year at home. It can be conveniently prepared and also works out to be economical. With KENT pasta and noodle maker snack time will become more vibrant and full of choices. Making any dish with pasta and noodle makers involves minimal manual intervention. 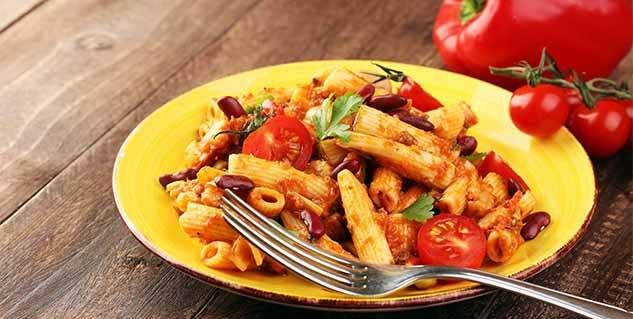 Just use the ingredient of your choice and prepare delicious and satiating pasta at home. Right from mixing, kneading and extruding the entire process is automated. Select the auto mode button to knead the dough of desired consistency. You don’t ever have to mess your hands. Just press the button and within minutes the dough is ready for use. The appliance comes with different shapes of dies or molds that allow you to create pasta and noodles in various shapes. The shape of pasta matters when you are making a dish. For example, you need noodles shaped pasta to make Spaghetti in red sauce or a short shape to prepare Neapolitan pasta. As for the noodle, flat shaped noodles are best for preparing authentic Vietnamese or Thai cuisines. KENT pasta and noodle maker has a very modern and snug built. It is a smart appliance especially created for modern cooking needs. The appliance can be dismantled and assembled quite easily, therefore fitting it in your kitchen cupboard is no hassle. Cleaning the noodle and pasta maker is also very convenient. The appliance comes with dedicated cleaning brushes which make the tedious task of cleaning an easy thing to handle.